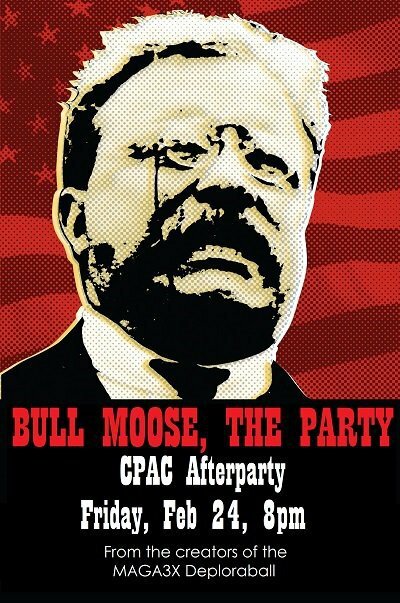 The creators of the Deploraball and MAGA3X bring you the Bull Moose Party. The party is planned for Friday night February 24, 2017 in Washington DC. The exact location will be announced next week due to security concerns. Mike Cernovich has more on the party at Danger and Play. You’re the average of the five people you spend the most time with, and it’s time to raise the political average of the New Right. The creators of the Deploraball and MAGA3X bring you the Bull Moose Party. We’ll be renting out the entire venue, there will be a cash bar. Our last event sold out in several hours (with more time to plan we could have had 5,000 people in attendance), and this event has zero cover charge, so you won’t get a “hard sell” from me.